In developing countries, the majority of urban workers earn their livelihood in the informal economy. In general, the informal economy comprises one-half to three- quarters of all non-agricultural employment in these nations. In South Africa it is less, but the informal economy still concerns nearly three million people, which constitute roughly seventeen percent of the labour force. Compared to other countries, this number is rather small, but definitely not insubstantial. And yet, given this considerable size in South Africa and in other developing countries, it becomes evident that it is essential to give this community attention, to understand and include them when pursuing the goal of promoting inclusive cities and reducing urban poverty. It is the case, however, that in many cities around the world, very much including South Africa, many people are actively undermining or destroying urban informal livelihoods. 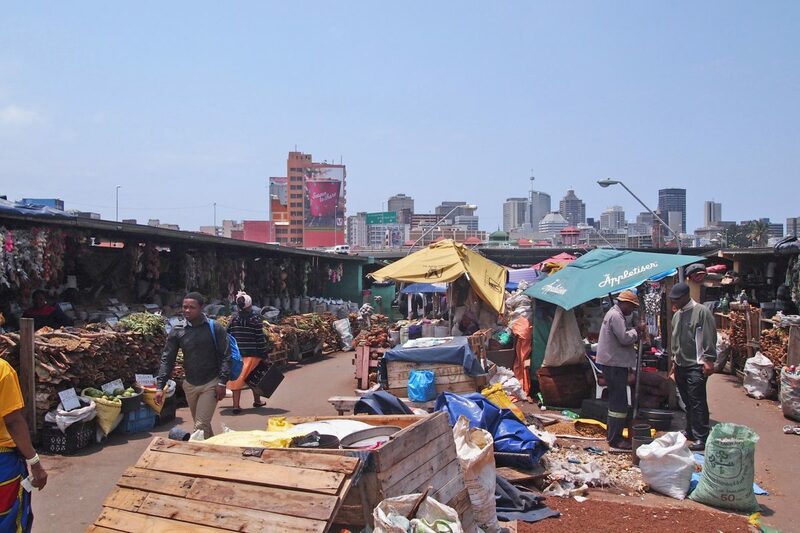 Exclusionary practices are the usual norm with regard to the informal economy in many cities – slum and street vendor evictions, and the harassment of informal workers by local authorities, including bribes and confiscation of goods, occur on a daily basis. It is the case, however, that in many cities around the world, very much including South Africa, many people are actively undermining or destroying urban informal livelihoods. Exclusionary practices are the usual norm with regard to the informal economy in many cities – slum and street vendor evictions, and the harassment of informal workers by local authorities, including bribes and confiscation of goods, occur on a daily basis. It is often forgotten or ignored that home- based producers, street vendors, and waste pickers are all age-old occupations in which large numbers of urban workers around the world are still employed, all of whom contribute in important ways to the overall economic system; for example, they provide jobs and reduce unemployment and underemployment. 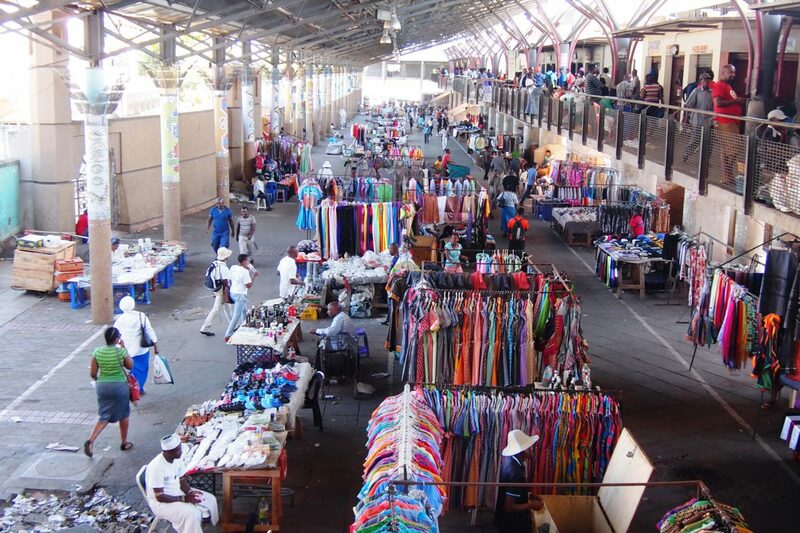 The Warwick Junction Markets are a very unique place in Durban, South Africa, with great significance for the local economy- they are an informal commercial and transport centre with almost half a million users passing through on a daily basis. 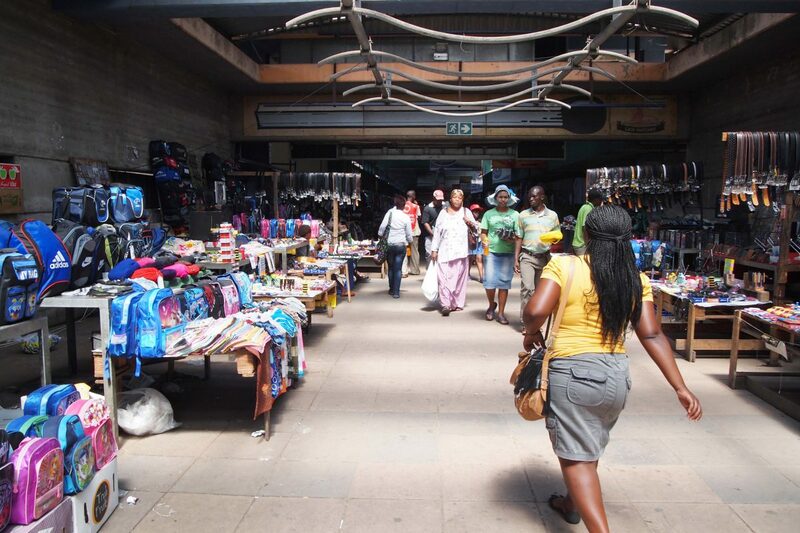 They provided commercial opportunities for approximately six-thousand traders. 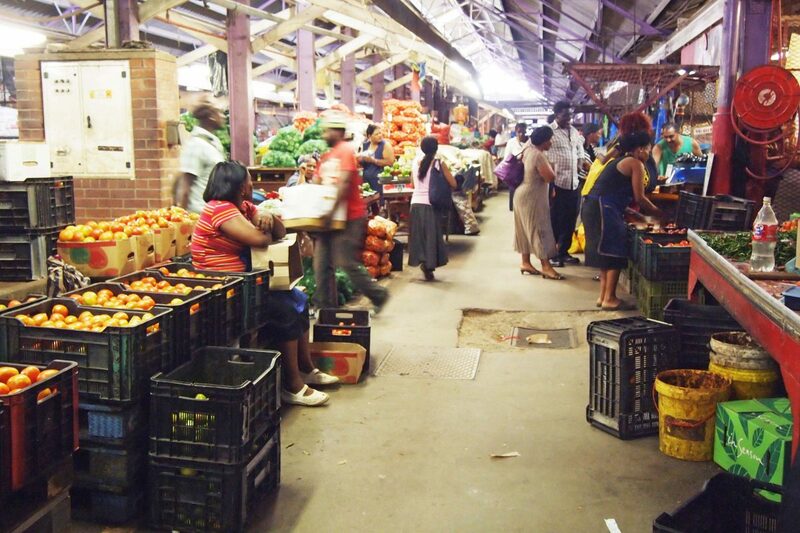 They are an important economic, cultural, and social space in Durban that continues to thrive, despite various challenges faced by its users and inhabitants alike. The research on the market area aimed to achieve a greater understanding of the complex economic, cultural, and social dynamics inherent to the Warwick Junction Markets, and to find ways to improve, strengthen and enhance the area in a beneficial way. The used tools to do so can be classified into the following four proceedings: literature analysis, observation, documentation, and interviews with various stakeholders. To gain insight into the topic of the informal economy in South Africa and its state of research, a literature analysis was conducted. Important references which supplied data and statistics include the World Bank and several NGOs, but also newspaper articles and diverse research papers. The most important approach to undergoing research were two field trips to Durban, South Africa. Having lived in Durban for a total of about five months allowed me to gain first-hand knowledge of the complex systems which underpin the dynamics of the Warwick Junction; what is more, I also gained insights into the local South African culture, including the challenges and mannerisms of the specific environment and the informal economy. The time on site permitted me to establish a wide-ranging social network with different stakeholders, from academics, city officials, NGOs, local residents and informal workers, which all contributed to my research in one way or another. Observations were made in two ways: intentional, through long wanderings through the Warwick Junction precinct and the rest of the city, accompanied by a guide (for safety reasons); and unintentional, by simply living in Durban and soaking up its culture and history. Documentation of my observations were done in various ways, although sketches, notes, mapping, and photographs form the principal elements of it. An interview guideline for the street traders was prepared before the first field trip. The interviews were conducted in a quantitative and qualitative manner. I have tried to speak to a wide range of stakeholders, in order to obtain a holistic understanding of the subject. Informal workers have unique needs and face unique challenges. They contribute to society and the economy, but receive little to no acknowledgement by local policy makers. Policies have to adapt to the needs of all to match the reality of informal work. 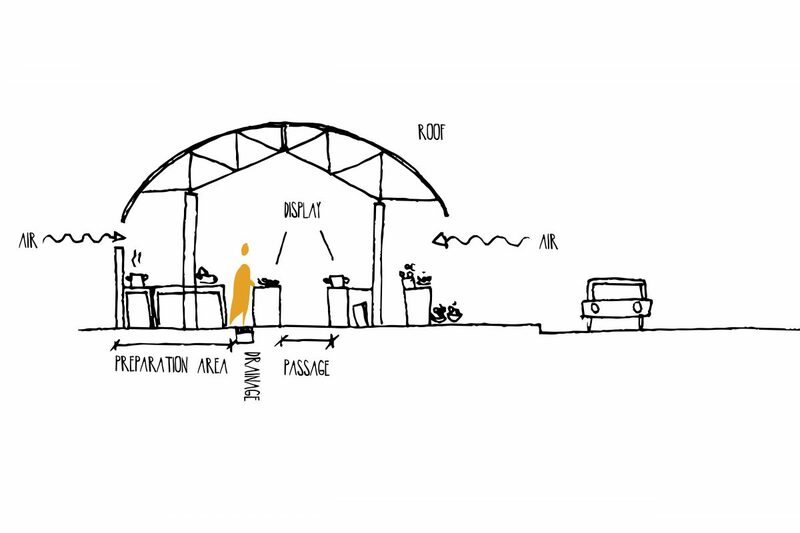 Inclusive planning demands a greater recognition that space matters and means planning with, rather than for someone. It includes concerns over how space can offer livelihoods for everyone. It is based on the understanding of the functionality/mode of operation and needs of the informal sector (data!). 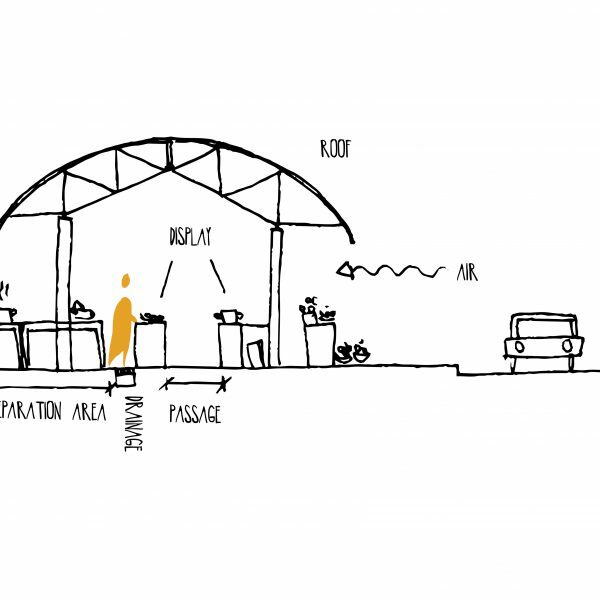 Conventional tools by architects and planners have to adapt to these circumstances and recognize that (urban) inclusive planning is an important instrument to engage positively with social relations and behaviour. 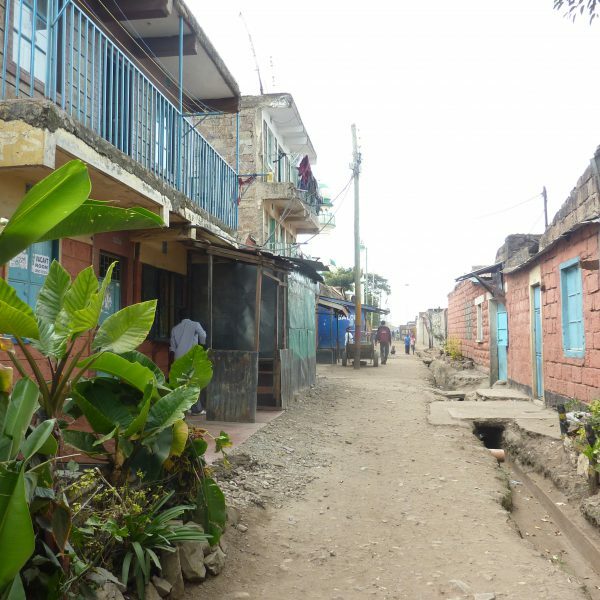 The communities of the informal economy are diverse and with different needs and challenges. To be able to act in the communities’ shared self-interest, they need to be organised. Respective any (urban) planning and legal reform processes concerning these groups, their representatives should always be integrally involved. 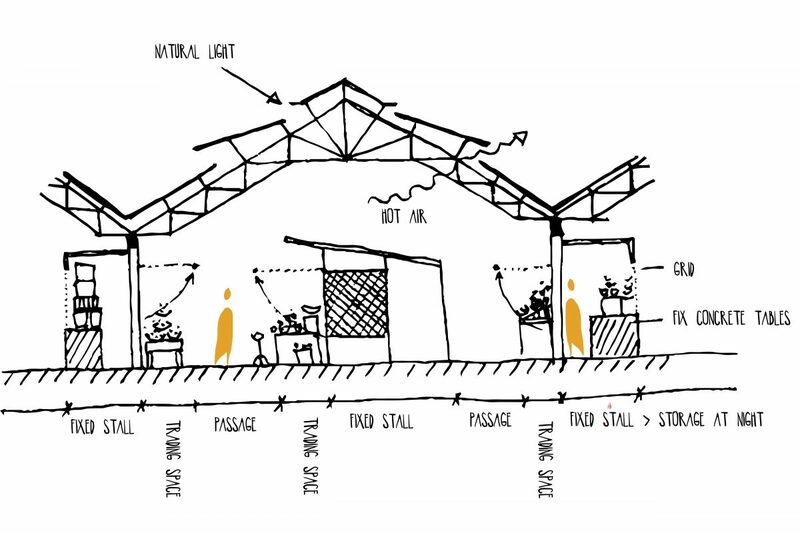 As one of my findings concluded that conventional tools by architects and planners have to be adapted when working with informal communities, I want to specify and expand this aspect a little further. These recommendations are based on my personal observations and experiences on how the current approaches of planning interventions are carried out within the Warwick Junction Markets area. 1. Speaking the same language – when working with laymen, planners have to find ways to transfer their ideas in an understandable manner. A floor plan and a section might not be comprehensible for all, but maybe a build model, or a mock-up can transmit the necessary intentions of the plans. 2. 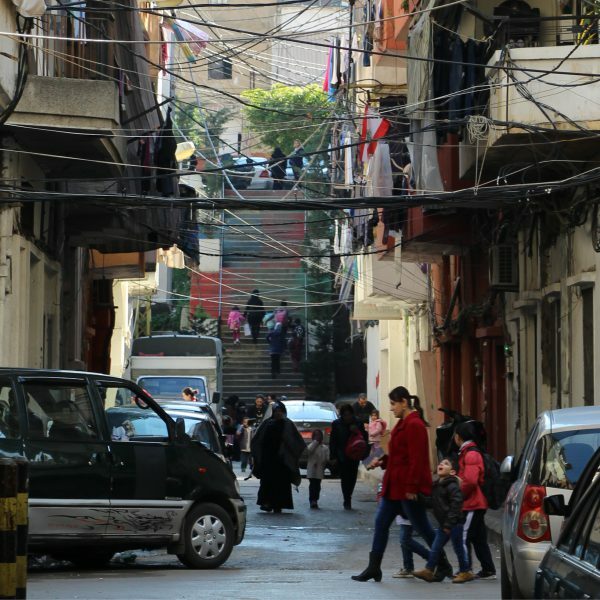 Inclusion not exclusion – not only is the ‘involvement of all’ part of the democratic understanding, but especially in planning it can be one essential means of tackling social and spatial inequality. 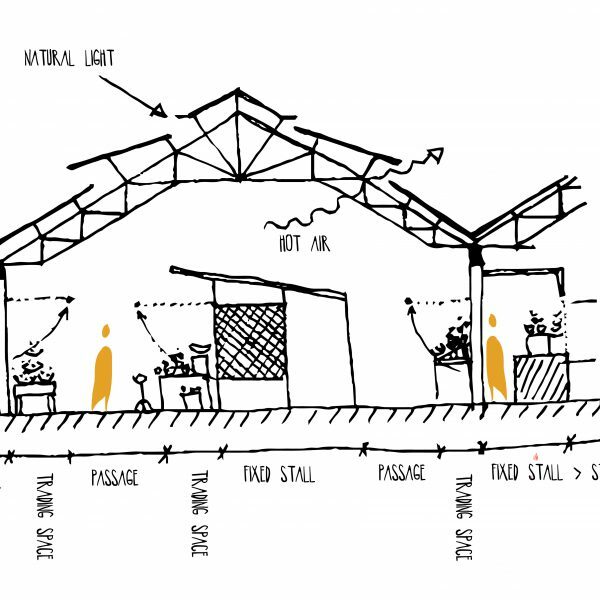 Informal communities know best what they need and what their daily challenges are. To be able to achieve positive change for all, different stakeholders (in this case, for example, the representatives of the local traders,the planers, relevant city officials, …) have to come together and contribute and exchange their expertise. 3. Data – one substantial asset as the basis for improving the situation of the informal economy are improved statistics. On one hand has data power: “Policy makers like data, more than other kinds of information” Therefore, detailed and accessible information is needed. On the other hand data and the knowledge of processes, quantities, conditions, deficits, etc., is the basis for appropriate planning. 4. Try and Error – acknowledge that everything might not work the way you think it will. Informality, like many other things, is often unpredictable. You can have the most comprehensive data basis and your plans might still won’t work out like you thought. The team of the NGO ‘Asiye eTafuleni’, for example, once tried to find a new way to cook ‘mealies’ (South African name for ‘corn’), that are sold by one of the communities in the Warwick Junction Markets, in a more sustainable way. After an 1:1 try and error test, They soon had to realize, that even if their way was more sustainable it was not efficient at all. In the end AeT adapted their plans toward the original way of cooking the corn. These four points are a small basis of recommendation for planners, who want to create inclusive urban spaces, not only in the Global South. The creation of a just and inclusive city implies the inclusion of everybody, including all vulnerable social groups. As David Harvey has written in the book “Rebel Cities: From the Right to the City to the Urban Revolution”, “the freedom to make and remake ourselves and our cities is […]one of the most precious yet most neglected of our human rights”. However, “it is, moreover, a collective rather an individual right, since reinventing the city inevitably depends on the exercise of a collective power over the processes of urbanization.